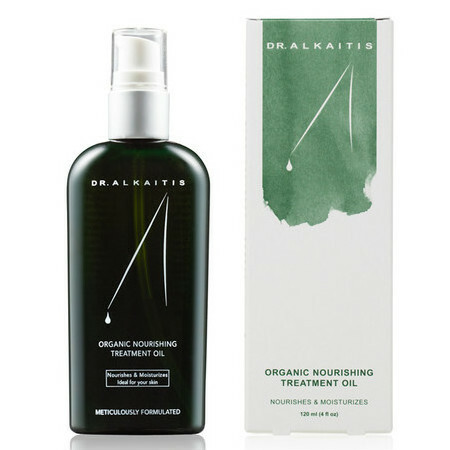 This Nourishing Treatment Oil from Dr Alkaitis can be used as a facial serum, overnight facial treatment or body oil to target a wide range of skin conditions. This 100% active serum contains raw, plant-based and Certified Organic ingredients that stimulate the skin's natural ability to repair itself. It uses a unique blend of organic cold pressed oils with herbs including Liquorice, Country Mallow and Turmeric plus a natural full spectrum vitamin E complex to visibly improve the skin quality of normal, oily, dry, sensitive and mature skin. 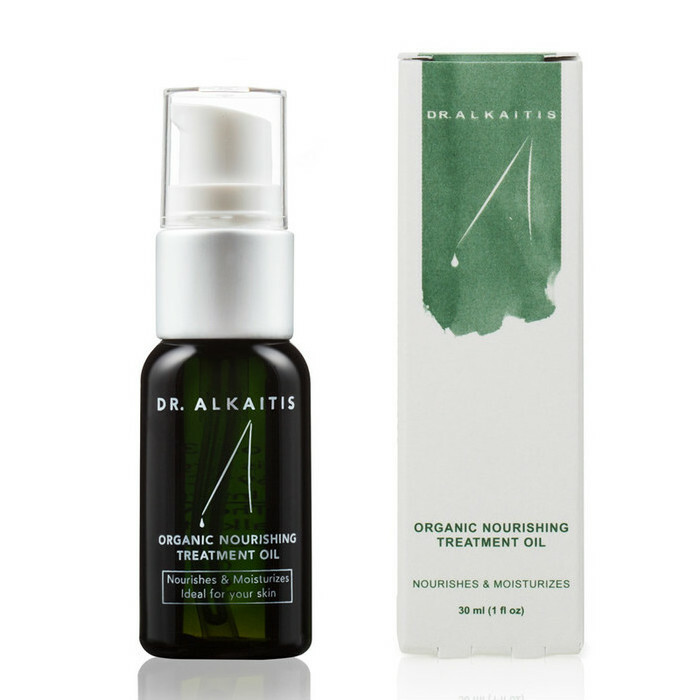 The Dr Alkaitis Nourishing Treatment Oil is ideal for those wanting to target dry and dehydrated skin as well as conditions including mild rosacea, acne, pigmentation and sun damage. Jojoba Oil, Licorice, Olive Oil, Rosehip Oil, Turmeric, Vitamin E.
Into a base of virgin cold pressed organic oils (organic Jojoba*, St. John’s Wort* and Andean Mountain Rose Hip seed* oils), the following organic and wild-crafted herbals are blended: Indian Madderº, Country Sarsaparillaº, Amazon root* and Liquorice*. Country Mallowº, Turmeric*, China rootº, Costusº, and White Sandalwoodº. Cuscus Grassº, Olive*, Eagle Woodº, Nut Grassº, Bermuda Grassº and Ashwagandhaº. 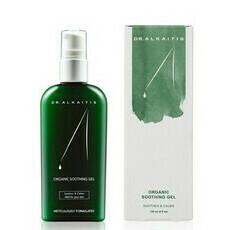 Also added are natural vitamin E complex (D- alpha, beta, gamma and delta tocopherols) and 100% pure Essential Oils. 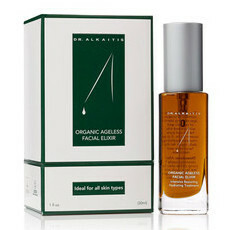 I found this to be very hydrating and overall nice oil, it soaks into the skin well and leaves your skin looking nice. It's not a miracle worker though will leave you feeling good. This has become a staple, I use this twice daily and I have combination skin with some rosacea breakouts occasionally. Since using this product my skin is clearer, far less sensitive and actually looks nice for once. It is expensive but in prepared to spend due to the results I'm seeing & feeling. Recommend you try the travel kit if you are curious, generous sizes & will give you a good gauge to how your skin will be using these products. So I bought this product about 18 month ago, I’ve purchased 2 bottles to it lasts a long time. About two months ago I ran out & was a little strapped for cash, I couldn’t afford the $100 to purchase more so I went back to my Rosehip Vital oil & I’ve not noticed any changes whatsoever. I LOVE using face oils, but in all honesty I don’t feel this product is worth the costly price when a good Rosehip will do the same. It is a lovely oil, smells great, absorbs beautifully etc but for me, I find no difference in the quality of my 42 yro, pale/sensitive skin. If I had the extra cash maybe I’d choose it for the delicious aroma, but that would be the only reason.